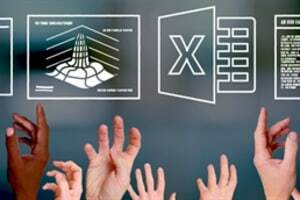 With over ten thousand users in attendance at its annual user meeting, Autodesk chose to drive a stake in the ground regarding the future of design. Design was going to be generative design. Their software was going to do the design for you. Oh, did you think CAD software was already doing design? Wrong. 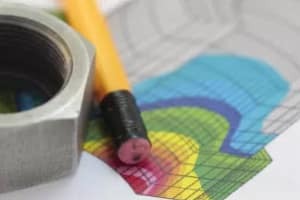 Your CAD software—that includes the CAD software Autodesk had sold you—was simply defining the geometry of a design and not actually designing anything. We are shown designs that generative design algorithms come up with. They are weird. “I wouldn’t have made it that way,” is your first thought. Aha! That’s the point Autodesk is making. You—of limited creativity, favoring tradition, the straight and square, clinging to the tried and true with a predilection towards parts that can be machined or molded, etc.—are never going to think of breakthrough designs. 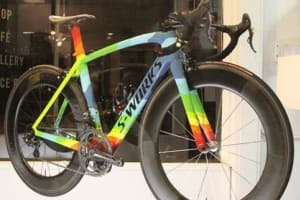 Generative design, by comparison, is the free spirit, able to explore the full range of possibility. 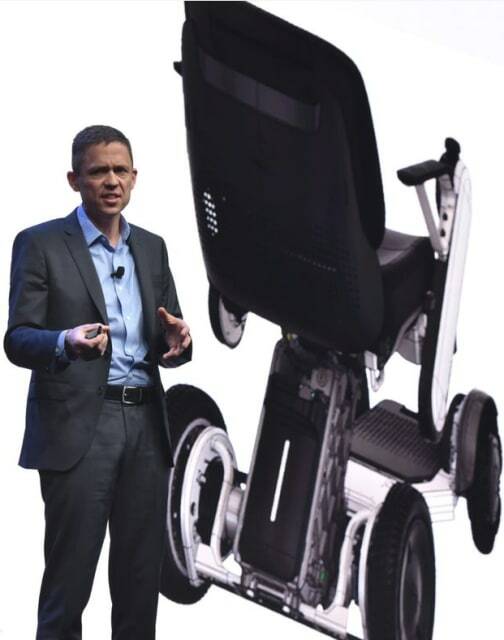 Generative design returns thousands of possibilities, all of which can meet the constraints, says Greg Fallon, Autodesk’s VP of business strategy and marketing for design and manufacturing. 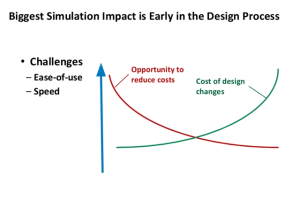 The reason to show so many is that often the designer—the human—will select a design that is not “optimal” in terms of the constraints, because they will consider other downstream processes or constraints that were not specified, such as manufacturability, to select the winning design. That is what is different between generative as played by Autodesk, and topology optimization by other vendors. 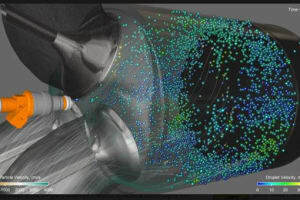 Topology optimization gives you a single best design, but Autodesk suggests that is not accurate at the current state of the art because not all constraints and desired outcomes are input to the generative design program. It’s not just about geometry. Examples of generative design are shown. There’s one bracket after another, before and after, first the part cast and machined, then regenerated with a jaw-dropping weight loss: 40 percent, 50 percent... even 80 percent. All that survives of the part are a few faces (where the part may join an assembly or feel a force) that look like they are connected with threads, as if by a sloppy spider. We can see how the threads would work in tension. We want to ask what happens in compression, but who wants to be a buzzkill. 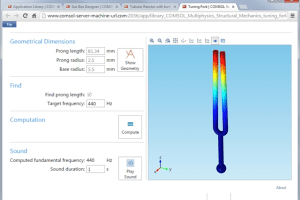 In Thomas Nagel, Autodesk found a convert to generative design. The chief digital officer at Claudius Peters, makers of giant concrete processing machines, saw generative design for the first time at last year’s AU and went back to Germany to put generative design to work. Claudius Peters, founded in 1906, has been a leading manufacturer of materials handling and processing equipment for cement, gypsum, power, aluminum and steel plants. Headquartered in Hamburg, Germany, it has 12 offices worldwide. 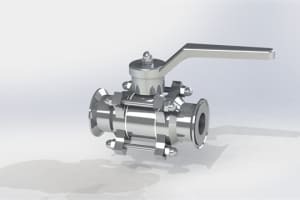 The company decided to become modern to achieve higher quality, increase customer satisfaction, reduce lead times, and reduce costs. 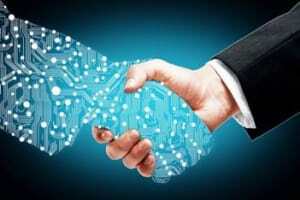 “Digital transformation is not a project. It’s an attitude.” As chief digital officer, his job is to make Claudius Peters into an agile company. It requires more than new software. This machine, the ETA Cooler, cools molten stones over a half football field in length. 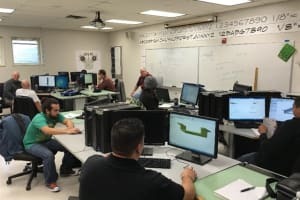 They used Autodesk’s Inventor and finite element modeling to manufacture their cooler lanes in a few hours rather than several days. This also meant that they could bring production back to their facilities in Germany—presumably because labor costs were lowered with the new process. 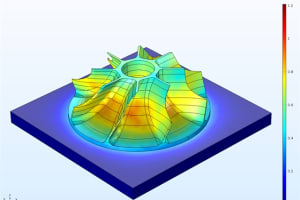 A FEA confirmed the generative design performed better than the original design. Looks Nice. But Can You Make It? The “alien” part produced by generative design had to undergo a transformation before it could be manufactured at Claudius Peters. 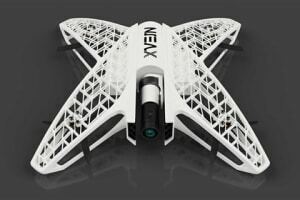 The company considered casting the part the generative design, as was the original part, but a weldment turned out to be the most practical. 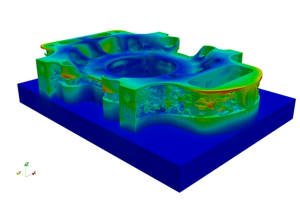 The generative design is credited as the “inspiration” for the final part design. 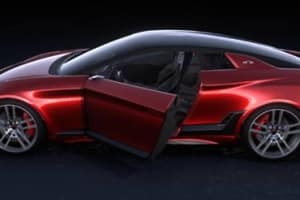 Autodesk admits that generative design cannot separate the principles of design from the manufacturing processes employed to realize those designs in the physical world. 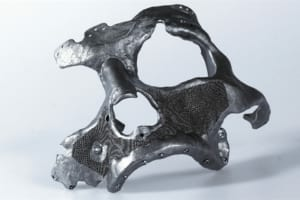 The methods of manufacture that companies, like Claudius Peters, have at their disposal don’t always include 3D metal printers with large enough capacity—sometimes the only method that could possibly produce generative designs. 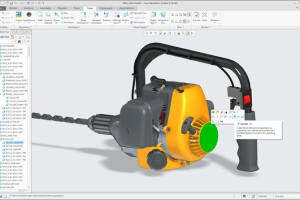 Fusion 360 allows users to specify a few manufacturing outcomes for the generative design, currently 3- and 5-axis milling as well as 3D printing. Autodesk has taken limited steps to allow users of Fusion360 to indicate the generative design algorithm to show parts that can be machined. 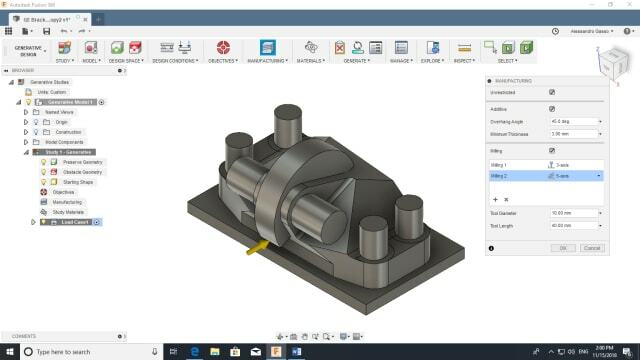 Currently, Fusion can give shapes that can be cut by 5-axis milling machines, says Allesandro Gasso, adoption specialist for manufacturing from Autodesk’s Bern (Switzerland) office. Five-axis milling can make many alien parts, except for those with too much undercut. We will also give Fusion the ability to specify particular 3D printers and materials, says Gasso. This affects the angle at which 3D printed parts can be produced without having to build in supports. 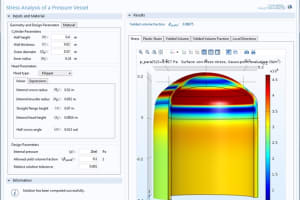 Next will be support for 2 and 2.5-axis milling, he adds, but we are still a bit away from being able to specify sheet metal or types of structural members, for example being able to specify generative design use tubular construction. 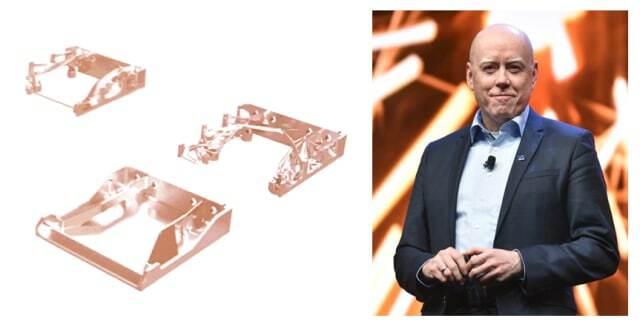 “Thanks to Thomas of Claudius Peters for being ‘inspired’ by the generative design, but we see the inability of Fusion to produce design in the manner preferred by a customer as a shortcoming,” says Stephen Hooper, VP and general manager of Fusion 360 products, who seems committed to a future in which, one day, generative design will be the way we design, because it will create shapes for the manufacturing process at hand. 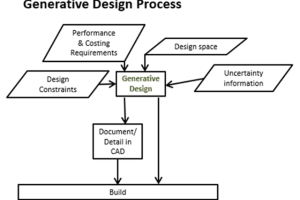 Autodesk isn’t certain that they have the right business model for generative design. 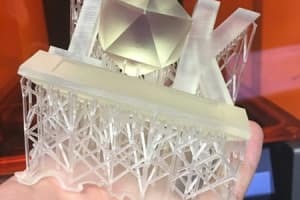 Users currently get generative design as part of a $500 per year subscription for Fusion or as part of the full manufacturing subscription for $2500. 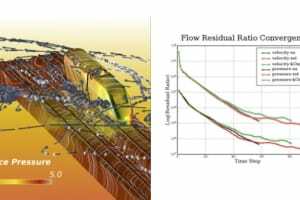 They can run the models at no additional cost, but to run a generative design study it is 25 cloud credits (valued at $25). To download a result is $100 cloud credits (valued at $100). So, as Hooper says, they run the models at a loss and hope that enough people download the models and find value in them—making for a positive contribution to Autodesk revenue. Autodesk is quite transparent that these are the early days and the final business model may change. It certainly provides customers with a low cost of experimentation. 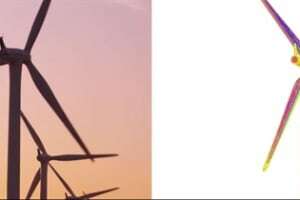 If you get lucky and find one model that works, it is very economical. 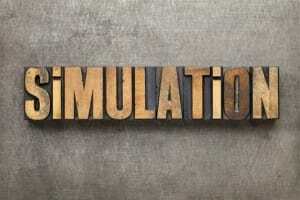 However, if you find the need to test several models to make a final choice, going through multiple iterations with additional constraints, the costs add up quickly. If it's not useful, it's art. 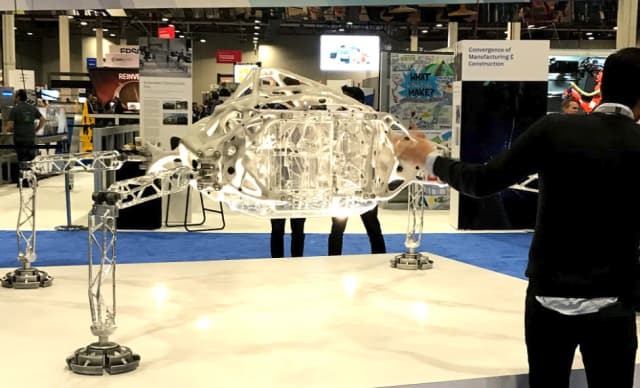 This fanciful lander design, created by generative design, was on display at Autodesk University.